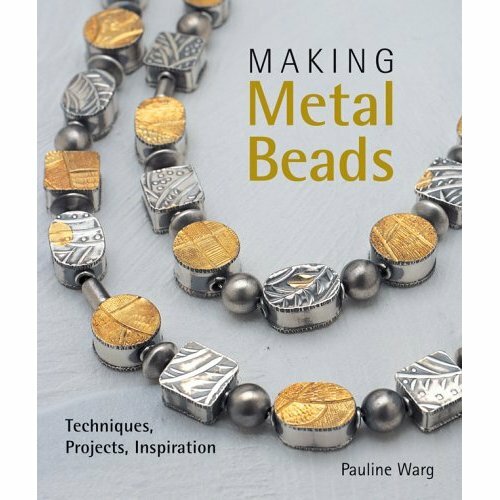 With this comprehensive skill-building guide at hand, jewelers of all levels can craft 30 stunning one-of-a-kind beads in shimmering silver, copper, brass, and other metals. An introduction to metalworking provides the basics, followed by creative design ideas and techniques specific to metal beadwork. Transform commercial beads using simple stamping, chasing, and dimpling. Use cold connections to produce riveted and woven beads from sheet and wire. Roll a simple Crescent Roll Bead, and create variations in the form by using patterned, textured, or hammered sheet metal. Crafters will build a repertoire of skills as they progress, and learn numerous ways to embellish the bead’s surface and add decorative elements. An extensive gallery of handmade beads provides a wealth of inspiration.